May 2, 2019, 7:15 pm – 9:30 p.m.
From time to time, many of us experience an intuitive flash of insight that turns out to be amazingly correct and helpful. Imagine if anyone could be trained to access such insights—not just spontaneously but on demand, to see other times, people and places with the objectivity of a scientist. Believe it or not, almost everyone can! This kind of training is the basis of remote viewing (RV), a perceptual or mental technique that can enable people to perceive and report on locations, events, objects and people that are distant in time and space from them. 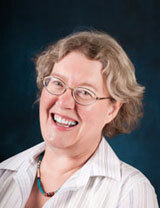 Our May speaker, Angela Thompson Smith, Ph.D, is an expert in conducting and teaching remote viewing. With 30 years of experience and eight published books to her name, she will explain what remote viewing is, how it has been used in research and training programs, how it can be used today, and what the future might hold for human consciousness. 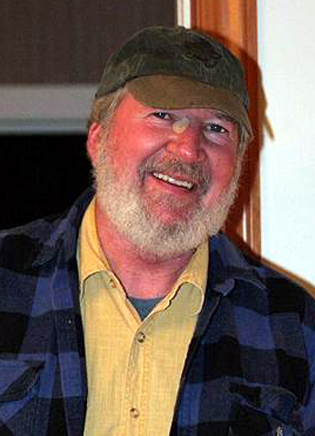 Note: Co-sponsored by SFF and the Rhine Research Center, a Remote Viewing Master Class by Angela T. Smith will be offered May 3-5 with only 10 spaces available. Click here to learn more and to register. As part of her lecture, Angela will discuss the RV work that she and her business, Mindwise Consulting of Boulder City, NV, have done since 2003 with a group of trained viewers known as the Nevada Remote Viewing Group (NRVG). These projects involve “Tactical Remote Viewing,” which is the expansion of remote viewing from research and training programs into practical applications. Their work has pushed the envelope of remote viewing to shed light on scientific and historical enigmas, to help businesses develop and research flourish, and even to further off-world space exploration. She will describe, for example, how they have located a missing Bavarian Alps hiker, rescued a missing woman in Mexico, and assisted with the Denver DJ murder case. Angela will also engage the audience in a group experience to access and describe a hidden “target.” She will invite the audience to share their perceptions and experience, and then provide feedback. For some audience members this might be the first time that they have tried a simple remote viewing experience; for others it could add to and strengthen skills they already have. Remote Viewing has a 40+- year history of research and development by private research organizations, universities and the U.S. military. It was developed as both a scientific research tool and an applications protocol, first at Stanford Research Institute International, Pal Alto, CA, which initially trained the US military, and by scientific institutions including the Princeton Engineering Research Laboratory, formerly located at Princeton University. The U.S. Government became interested in psychic espionage during the Cold War with the Soviet Union. In the early 1970’s when the government learned that the Soviets were providing psychic training for their military and intelligence, it decided to create its own remote viewing training program. The goal was to create a trainable, repeatable, and if possible, accurate method of psychic spying or information gathering for the U.S. military and intelligence agencies. Since the conclusion of those private, educational and military programs, former staff members have remained in the growing civilian field and have trained hundreds in remote viewing protocols. Over three decades ago, Angela Thompson Smith, Ph.D. began a fascinating journey by requesting a research paper on remote viewing. Since then, Angela’s career path has swerved away from medical studies into the fields of consciousness research, parapsychology and shamanism. A research psychologist with a nursing and social work background, Angela has 30 years of experience in the parapsychology and remote viewing fields, including five years working at the Princeton Engineering Anomalies Research (PEAR) Laboratory. Her training in controlled remote viewing was with Dr. Paul H. Smith of Remote Viewing Instructional Services(RVIS) and Lyn Buchanan of Problems Solutions Innovations (PSI). She was a founding member and former director of the International Remote Viewing Association (IRVA). Angela holds a Ph.D. in psychology from Saybrook Graduate School in California, a Master’s degree from Manchester University in England and a bachelor’s degree in psychology from Cardiff University in Wales. 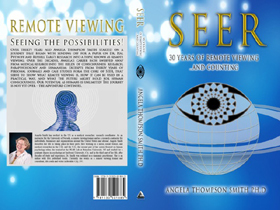 Her books include Remote Perceptions; SEER: 30 Years of Remote Viewing…. and Counting; and a new book, Tactical Remote Viewing, hot off the press this February. These three books, as well as two others, Colombia Quest and Voices from the Cosmos, will be on sale at the SFF lecture. Ericka Lee is a professional opera singer, piano and voice teacher, entrepreneur, Reiki master, intuitive counselor and budding ceremonialist. Ericka has been singing since the age of 10 and holds a bachelor of music degree in vocal performance from Meredith College. While in college, Ericka learned to sing fluently in seven languages and studied voice abroad in Germany. After years of classical study, Ericka decided to combine her love of music and the healing arts into a practice. She was asked to be part of the door-to-door music program at Duke and UNC hospitals and to sing for patients at their bedside. She also voluntarily sang for patients in hospice care at Transitions Life Care in Cary. After learning Reiki, she started to combine singing with Reiki and moved even deeper into the healing arts. Ericka’s mother, a ceremonialist and spiritual teacher/counselor/mentor, created and started practicing the sacred five-point ceremony and meditation in the late 1990s. Ericka has added her own twist by infusing singing and Reiki into it. Renowned remote viewer and author Angela Thompson Smith, Ph.D, will offer a “Remote Viewing Master Class” May 3-5 at the Rhine Research Center in Durham, co-sponsored by the Rhine and Spiritual Frontiers Fellowship (SFF) of Raleigh. This special, limited-seat workshop will be held 7-9 p.m. Friday, May 3, and 9 a.m. to 5 p.m., Saturday and Sunday, May 4-5, at the Rhine Center, located at 2741 Campus Walk Ave #500, Durham, NC 27705. Only 10 spots are available. All registration will occur on a first-come, first-served basis through PayPal on this website. You may find full information about this special class here and purchase tickets here. Our mission is to enhance the spiritual, mystical, and metaphysical awareness and consciousness of our community by sponsoring programs that facilitate personal growth and development and a holistic approach to health and living. We are not affiliated with any religious organization.